Disneyland is where dreams come true — and Adrienne Dunham’s dreams come true when she’s coding on her computer for Disney. 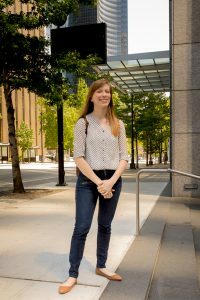 Adrienne, class of ‘14, is a software engineer at the Walt Disney Company’s Seattle offices, located in the heart of downtown. 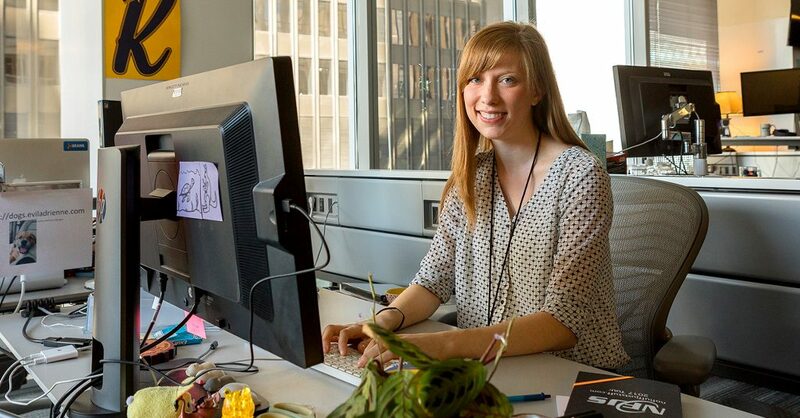 After starting at the company in 2013 as an associate software engineer, Adrienne worked her way up to her current position, where she works on guest login and registration services. 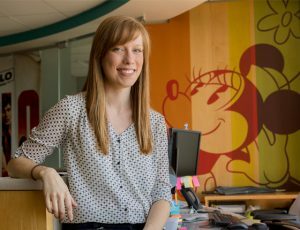 In other words, she writes code that allows online users to register accounts, log into Disney’s websites and apps, and manage their account information. 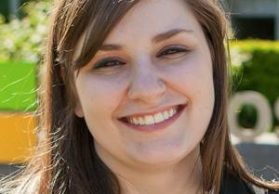 Unlike many in the field, Adrienne was introduced to the world of programming in college. 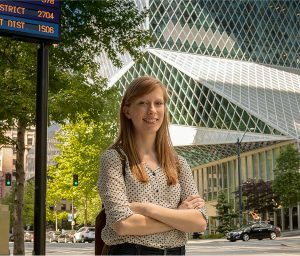 She started her higher education at Green River College in Auburn, Washington, where she took an introduction to programming class and fell in love instantly. 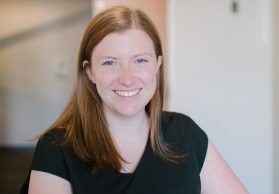 “It wasn’t until I took that class that I realized there was this whole career interlaced with logical problem solving and that you can you can make a living out of it. It was pretty fun,” she says. 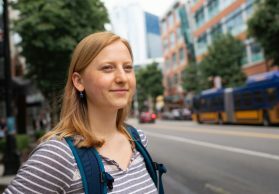 When she entered SPU in 2011 she enrolled as a computer science major — a major known for its rigorous coursework and small class sizes. Adrienne says that pursuing a career in programming felt intimidating at first. “Entering into computer science can be hard for people. A lot of people think you have to be programming from 4 years old and be a hacker at heart. I was not one of those people. I hadn’t done code until college,” she says. She didn’t know all the jargon and acronyms that were used in class. She had quite a bit to catch up on. What helped was the one-on-one assistance she received from her professors during office hours. “[They] would sit with me and help me through parts of homework, explaining the acronyms,” she says. Assistant Professor of Computer Science Elaine Weltz remembers Adrienne catching up quickly. After seeing her work ethic and natural incline for the field, Weltz forwarded Adrienne an email she received from a recruiter at Disney for an open position. The rest is history. “The technology is always changing. We have to constantly evolve our services so that guests can have the most seamless and secure login experience. One of our biggest wins is when the guests spend as little time as possible on the pages we build for logging in,” she says.